The name of this wine estate near Lisbon means golden hill farm. It is a fitting designation because this is a place where grapes are treated like gold and wines are made with a jeweler’s precision. The soil of the farm is similar to that of Côtes du Rhône, so José Bento dos Santos, the farm’s owner, planted the same grape varieties that thrive in that French region: Syrah and Viognier. Graça Gonçalves, the estate’s enologist, talks about each parcel of the farm as if they are old friends. She knows their qualities and shortcomings and choses cultivation methods that help each of them thrive. We ask which is her favorite parcel and quickly realize it is an impolite question. Graça does not answer, but when she talks about parcel 24 her eyes shine more than usual. This parcel is planted with Syrah grapes that came from old vines in Côtes du Rhône. Each plant is different and it is this variety that creates the quinta’s top wines, such as the aptly named Syrah 24. 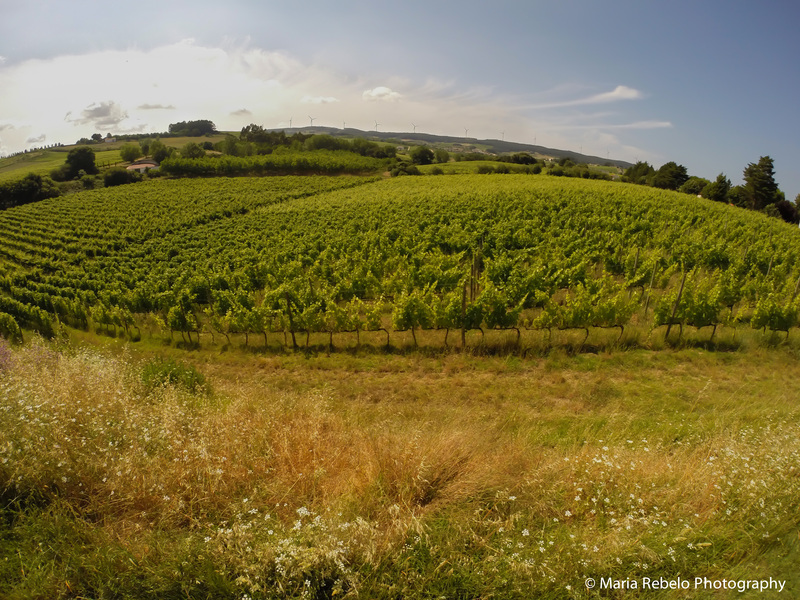 When harvest time approaches, Graça walks through the vines, taking samples to analyze in the lab, tasting the grapes, imagining the wines that will be produced. When the time is right, the grapes are picked by hand and carefully selected. There are then numerous decision to make, such as how to press the grapes and whether to stage the wine in French oak barrels or stainless steel vats. Why such meticulous care? Graça explains: “Wine is roughly 14 percent alcohol and 85 percent water, so there is only one percent for the fruits of the vine to create emotion.” It is impossible not to feel this emotion when you open a bottle of Quinta do Monte d’Oiro wine. Click here for the Quinta do Monte d’Oiro website.